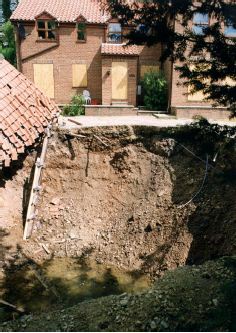 So last night Magdalen’s Close in Ripon was rocked by a sinkhole opening up, causing a house to partially collapse and nearby homes to be evacuated, and today there have been press and news outlets buzzing around the scene, with this being the 6th sinkhole to appear in the UK this Winter, due to the excessive rainfall. Magdalen’s Close backs onto a derelict auction mart (which last week a planning application for 75 houses was rejected … phew!) and surrounding land that is known for its gypsum deposits, so there was a risk of this happening. This is the scene this morning and more info here at Shocking Times. 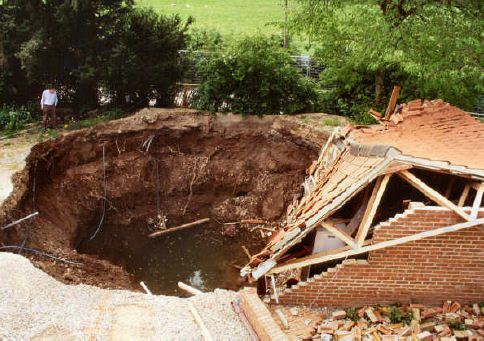 Ripon has a sinkhole appear about once a year and normally it will occur in fields or farmlands so goes unnoticed, but when it affects buildings we are all reminded that we are in one of the worst areas in the country for gypsum. 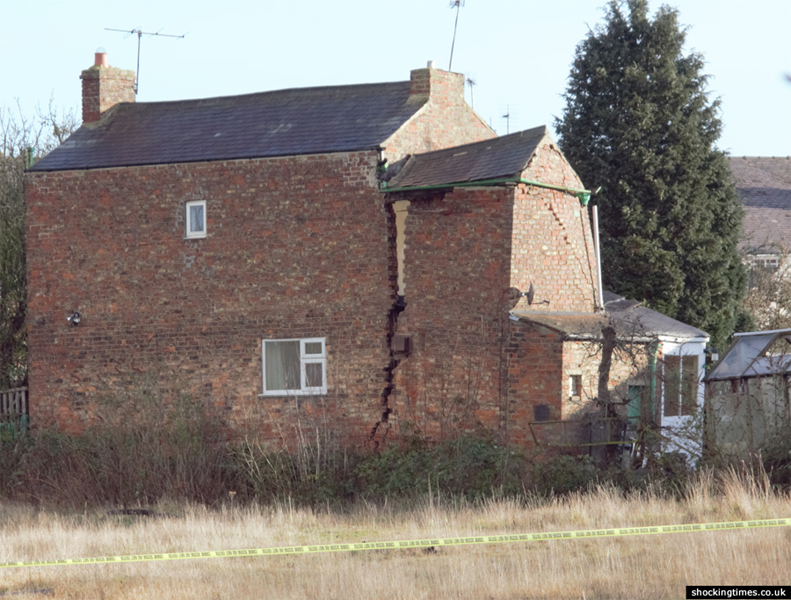 I remember when we first bought a house in Ripon and had to go through lots of extra geological surveys. Gypsum is a material that dissolves about 100 times faster than limestone so there are times when it just gives way. What I like about gypsum and Ripon is the connection to one of the most famous books written. You may not have heard of Charles Dodgson as an author but you will have heard of Lewis Carroll. Lewis Carroll lived in Ripon with his father, Canon Dodgson of Ripon, in the 1850’s and it is believed that he stayed in Ripon during the time he wrote Alice in Wonderland. One of the places that Lewis Carroll spent a lot of time was Ure Lodge (now demolished due to gypsum!) where there was much disturbance to the land surrounding it with sink holes appearing. Gypsum has a shiny appearance and when it is exposed in the shafts of the sinkholes it is said to glisten, making it quite magical. 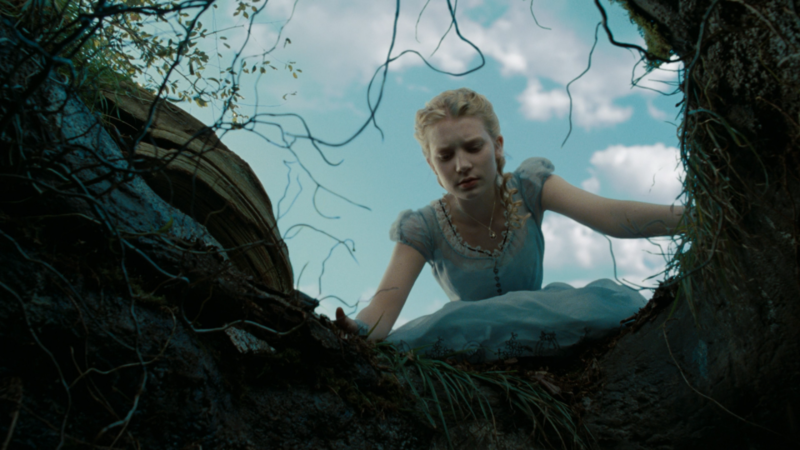 So it is believed that when Alice fell down a rabbit hole (because you just wouldn’t be able to … as even Cooper tried to here) that it was more likely to be a gypsum sinkhole that was being referred to.